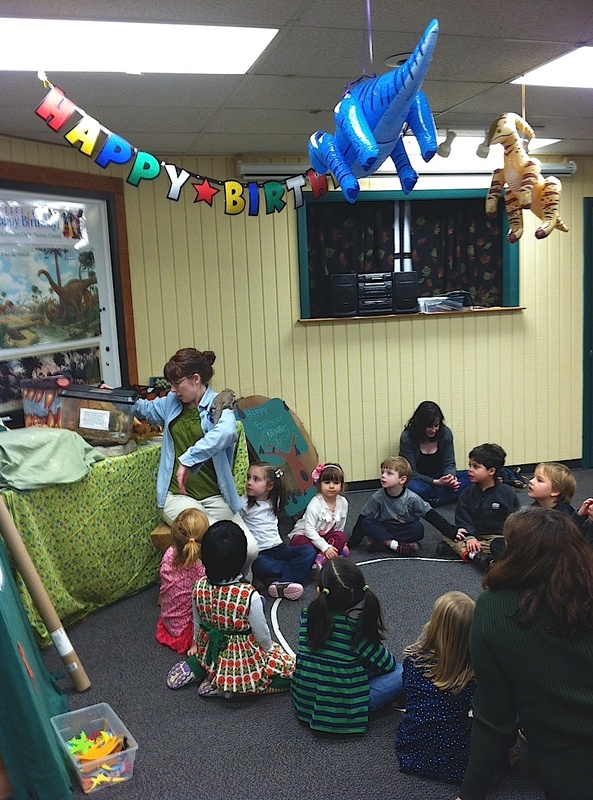 Miss H was invited to a classmates dinosaur party at the Hidden Oaks Nature Center today and it was so fun! 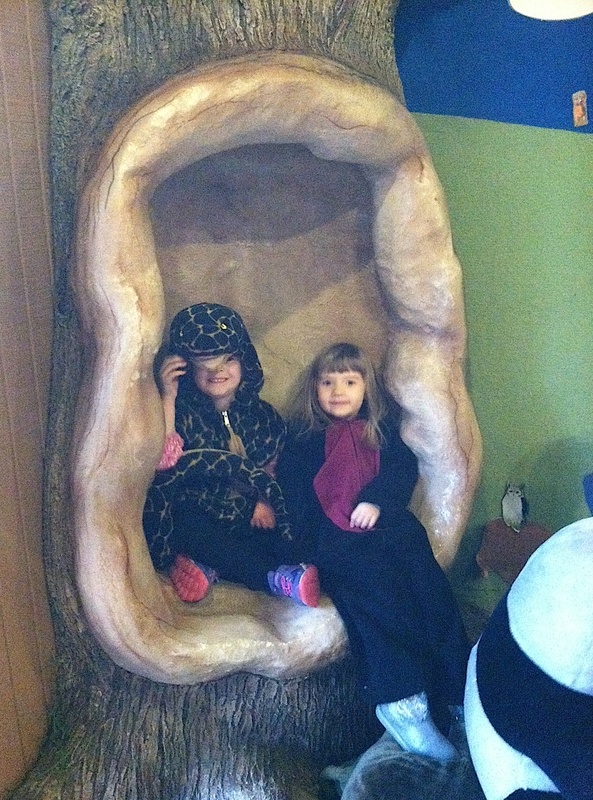 When we first got there, all the kids were dressing up in the costumes and checking out the snakes. I am sure the snakes were a little concerned about the abnormally large lady bugs, bats, bees and flies. 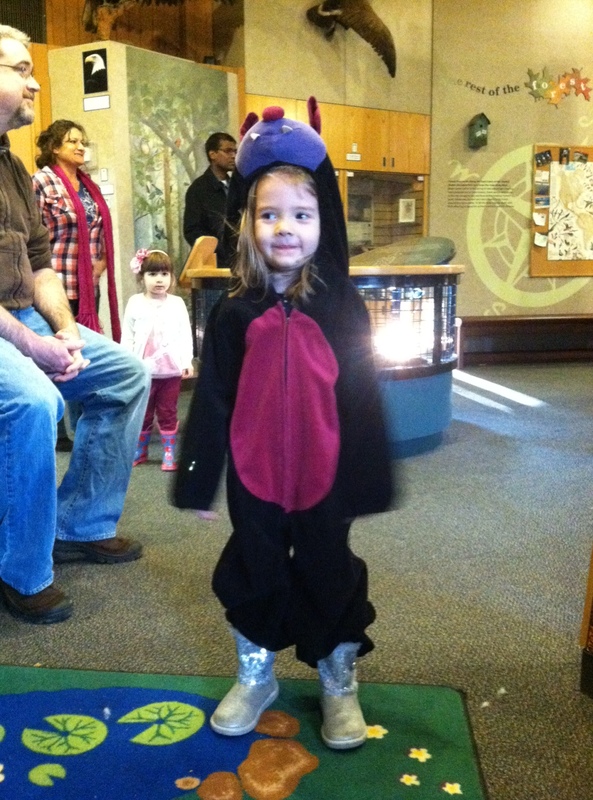 Miss H decked herself out in the bat costume but the look was not complete until she put her sequined boots back on. The bat and a large snake hanging out in the tree. They got a lesson on dinosaurs (I think the kids were trying to out talk the instructor) and then got to see some modern day reptiles. 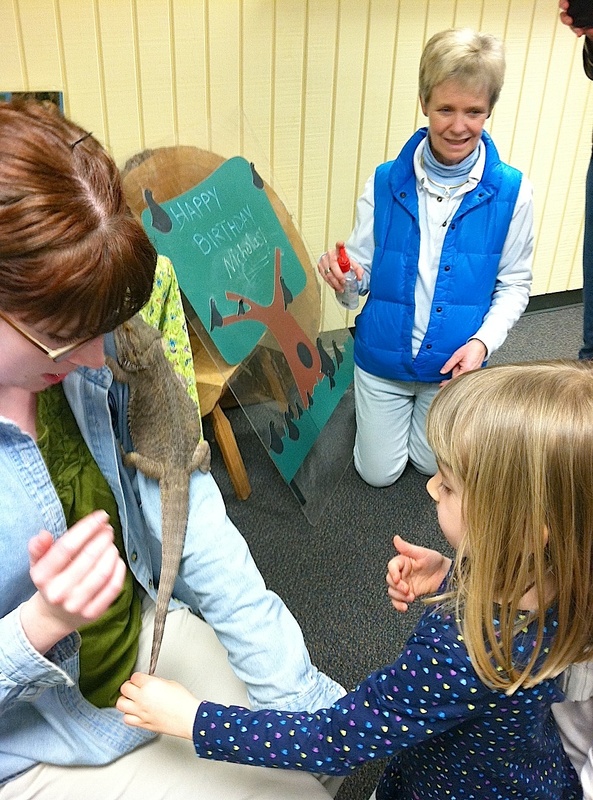 The bearded dragon was a huge hit. He ate mealworms and everyone got to pet him. Notice, the nice lady armed with hand sanitizer. The party finished up with making dinosaur magnets and then onto food and cake. Miss H was a little disappointed that the cake was chocolate but was easily distracted by the yummy dinosaur cookies (and strawberry and blueberry kabobs). It was nice to see all her friends at the party! What have I been talking about?